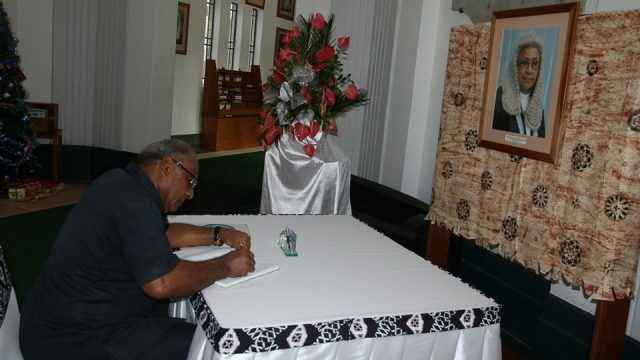 The funeral cortege of the late Speaker Dr. Jiko Luveni will leave MIOT hospital at 3pm today. 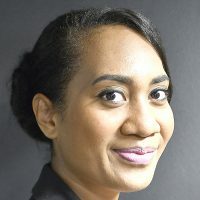 For the last time, the cortege will drive through Constitution Avenue and pause at the Parliament building, before heading for her residence at Hamilton Beattie Street, Domain. 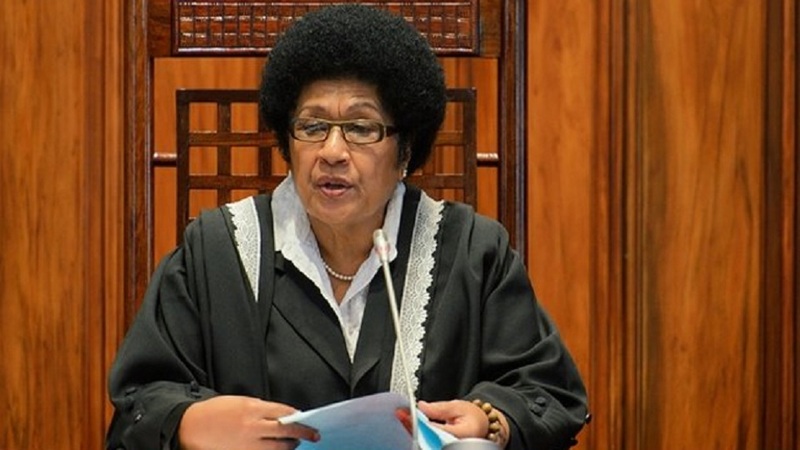 The late Speaker will rest for the night at her family residence before the church service at the Centenary Church at 10am tomorrow and then the final funeral rituals at the Lovonilase Cemetery. 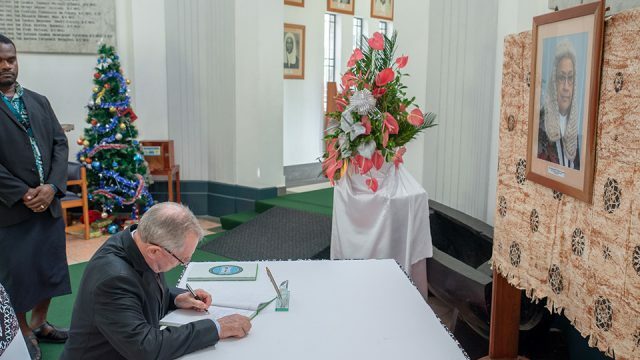 Meanwhile, condolence messages continue to be received from members of the diplomatic corp, other Parliaments and the public at large in honour of the late Speaker. 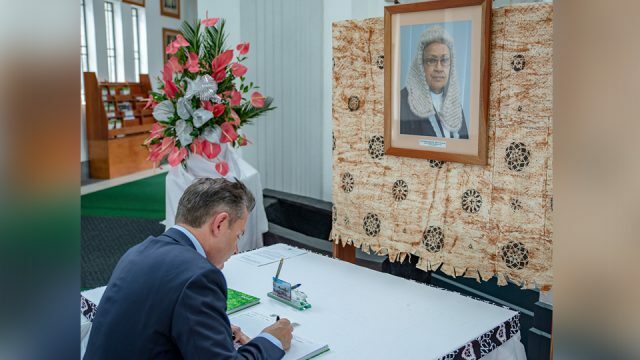 The Parliament of Victoria, New Zealand High Commission, Embassy of Japan and UNICEF are among other organisations that have electronically and also by letter conveyed their heartfelt sympathies towards the late Speaker. 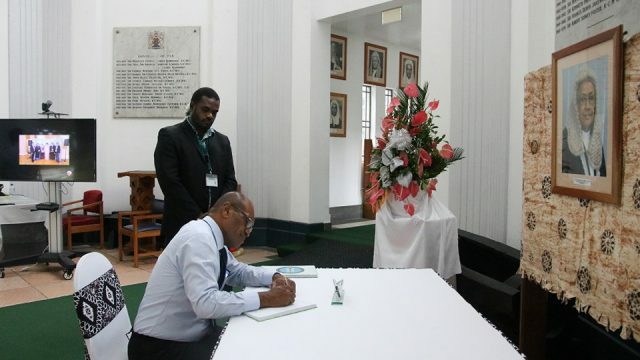 Condolences have also been received from sponsors and consultants under the Fiji Parliament Support Project. The Parliament foyer continues to receive members of the public who have walked in to pen down in brief their condolence messages.